What Success Is To Me. This is blog is about success. One of our Health Panel Directors, Truc Thuy Nguyen, tells us what success means to her. 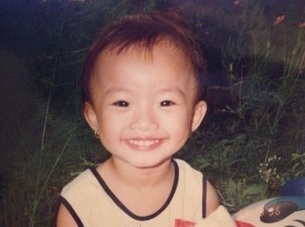 "Growing up, I loved to pick fights with my cousin (Huong.) She was older, tougher, and quicker on her feet. In almost every argument that we have been in, she would walk out victorious. However, to this day I continue to pester her because I know that when I finally win, it will feel so amazing. Success, to me at this point in time, means beating my cousin. Me (holding Duck) Cousin on Right. And Childhood Friend. Of course, in many ways, she is also my best friend. 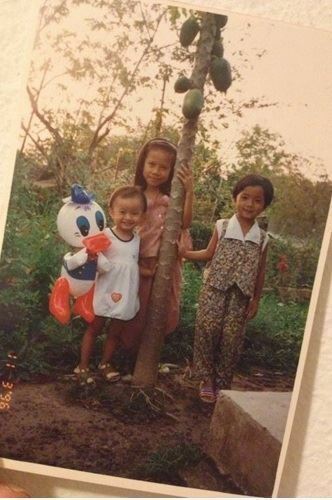 13 years later (from when I moved away) and 9,571 miles away (she lives in Vietnam), I still miss her very much. Anyways I digress. Success to some can be measured only in dollars. Others measure it with how much power, fame, or respect they hold. To my 6-year-old self, it was how many times I could win the battle of wits. However, I see some who live a very modest life in terms of income, power, or “winning” and still feel successful and happy with their life. For a while, I thought that success meant happiness but then I remembered there are people who consider themselves successful and still feel discontent. I guess in the end, there is no uniform definition for success aside from the general definition: “accomplishment of one’s goal”. Since everyone has different goals at different points in their life, we all should ask ourselves these questions: What is success to you? What makes you feel like you “made it”? 1.To be able to keep in touch and spend time with the people I adore. Can you imagine Christmas Eve without your siblings or Valentine’s day without your sweetie? (Actually, in my case, sweetie = tub of icecream.) ..Welp, I can’t imagine life without them either. 2.To be able to have meaningful relationships with my friends, colleagues, and family. Life would be so boring if I couldn’t joke around with my friends, argue with my brothers, or share my thoughts. 3.To be able to make a difference. This is very vague, I know. I guess as long as I can lend a helping hand to someone or make him or her smile, I’ll be jolly too. 4.To be able to explore the world. This planet is so fascinating and I have an extreme case of wanderlust. My goal is to travel somewhere at least once a year. 5.To be able to feel secure. This is very important for me. I don’t need a mansion or plenty of money but I like to know that I don’t have to struggle. 7.To be able to sleep. Dear gawd, since I came to college, this has been a struggle. 8. And finally, to do well in school. There are much more to this list but, for now, checking these off would be such a treat. Until then, I will continue to smile and be grateful for everything in my life. " "Smile While You Still Have Teeth." You have set up a great website,i am happy to read the stuff you have posted,i like reading the content you have written. Good health is necessary for everybody. Your web blog is really attractive. I want to appreciate you on your great ambition. I want you share the more related post. Thanks for share keep it up. College students should try to learn the successful articles from different www.ukessayservicesreviews.com websites. So they are prefer to chose the instructions and other topics followers. That's why? this blog introducing different topics to all of us. This blog shared information may useful to write new topics and reviews. These are all getting to finalize the http://caessaywriter.com/assignment-writing-service-your-teacher-would-approve/ website reviews and healing articles and thanks for everything. I really inspired by the interesting and informative posts. This post is one of those which is very good. I really inspired by your posting style. Keep this great work up. Amazing post! I really impressed to read the information that you have shared with us. Keep doing the great work up. http://247waterdamageorlando.com/fire-smoke-restoration/ is the best place for home services.